Welcome to Small Success Thursday, hosted by CatholicMom.com! In this hectic time of year, it’s even more important to take a step back and see what’s been going right in your life lately. 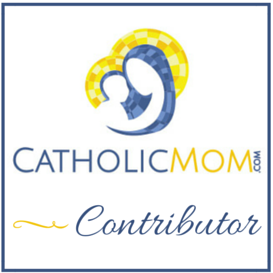 Chime in here, or blog about your successes and link up at CatholicMom.com! Our schedule came to a crazy culmination last weekend, with both girls being in separate performances in different places at the same time on two of three days. Nathan and I were able to split up and get both girls to everything they needed to go to, plus we got to see both girls perform, though we did not see every performance for both of them. (I did see all of the dancing, since I’m the one who can do hair, makeup, and costumes.) No one collapsed from exhaustion, and both girls did a great job. On Sunday night, we had planned to collect the girls after their performances and go out for a family dinner. Since the previous Sunday, we had one “family meal,” which consisted of us horking down Kentuky Fried Chicken in the span of 15 minutes before running out the door to drop off our 16 year-old for her stage call. I was desperate to just sit and relax with my family. Instead, we wound up at a pot-luck cast party after the final show and breakdown of the set. (And, yes, I even threw together a dish on the fly.) It was not the way I really wanted to spend the evening, but I survived. What are your successes for this week?